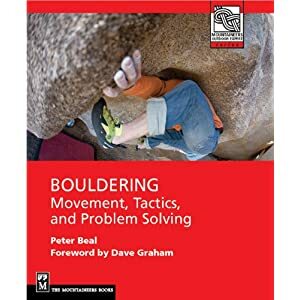 I have been trying to get in as much time as possible bouldering in the Park, building up strength and muscle memory for several projects in hopes for sending when the temperatures begin to let up. Most of these trips have been solo, grabbing a window of time when I can for as long as I can. Besides age, this is the primary contrast I have with most boulderers up here. Time, or rather the lack of it. Time is a relentless opponent in the game of getting anything interesting done up here. The season is ruthlessly short, the approach and drive anything but swift and convenient, and conditions are constantly changing from hour to hour. There is also the bigger picture of time as in my age and the question of physical decline. I perceive a narrowing window of possibility with every visit. How many seasons more? Can I become strong enough to realize my ambitions? Persistence and luck seem to be the answer, in roughly equal measure. The compensations are tremendous. The setting here is sublime, unparalleled in the pursuit of bouldering. The boulders are sculpted with a master's hand, not literally, but metaphorically. The shapes, colors, arrangements, and textures seem the result of some native spirit, a spirit who has shaped a private garden of stone, water and trees, a site that constantly reveals new insights into the natural world. Though temporarily lost in the flurries of crowds and chatter that occasionally drift by, this sense of understanding and engagement with nature returns with solitude. One is faced with the rock and one's own mind and spirit and body. This is all that matters. That and the light that illuminates the forests and distant peaks. Thanks for the engaging and thoughtful post. It's rare thing for climbing commentary to speak so directly to my private world of climbing inspiration. The incredible force of nature, the passage of time, the relentless and occasionally effortless focus of will, these things are all key ingredients in our collective fascination. It's rare that anyone bothers to attempt, let alone succeeds, to weave all these forces into a three paragraph cameo. You're a damn good writer Peter, I'm frankly a bit envious.